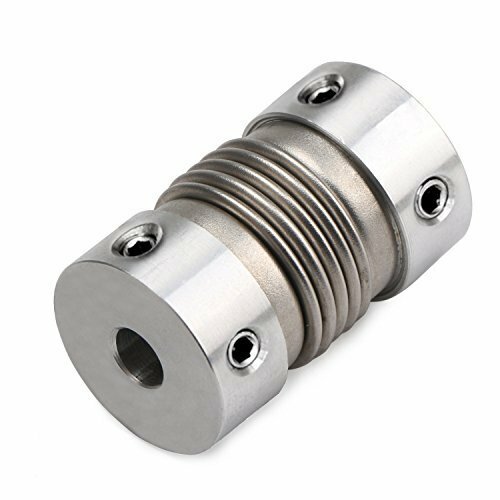 We are offering Bellows Couplings. V. M. Traders was founded in the year 1982 as the name responsible for wholesaling, manufacturing, trading and retailing of Ball Bearings, Roller Bearings, Linear Guide. Offered products are designed & developed in accordance with the approved industry norms and thus, are imparted with durability, dimensional stability, high strength, resistant to corrosion and capability of providing efficient performance. These products are extremely admired by clientele owing to their low maintenance, sturdy nature, and longer life. Our presented products are made by utilizing the best grade material and advanced techniques at our vendor’s end. In order to attain the business objectives in a proficient way, our organization has selected an expert’s team, who has years of practice in this field.